Keep your workout area safe and well organized with these smart weight trees. Rock-solid EZ-Load design directs the weight load to the center, reducing the risk of tipping. 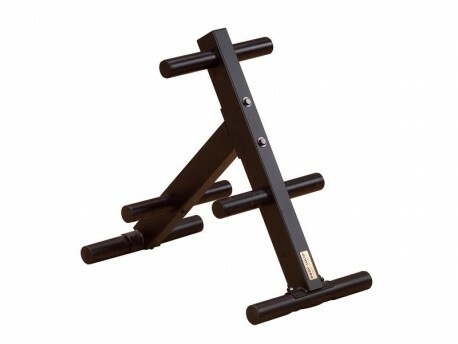 Six 2 inch storage posts suspend your weight plates for fast and easy storage. 1000 lbs. of weight capacity. Olympic weight plates sold separately.